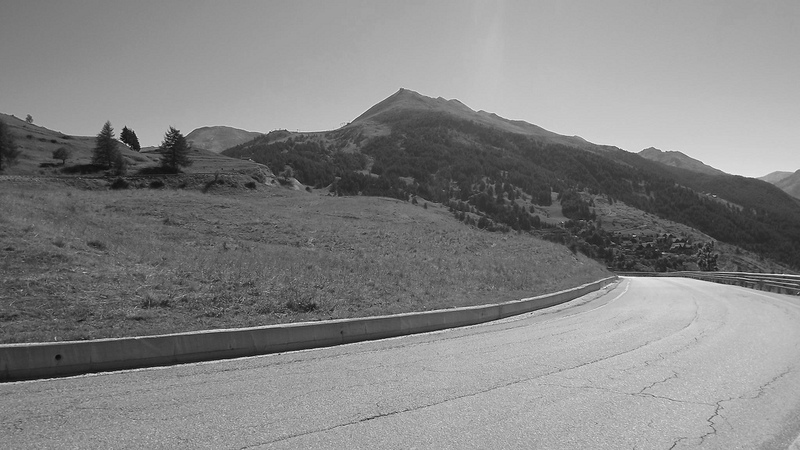 Following the ascent of Montgenèvre, we continued into Italy via the Colle di Sestriere. The ride is similar to the northen ascent of the Galibier with one col(le) split into two separate climbs. From Cesana Torinese, the climb is 12km long at an average of 6%. As the averages suggest, it is fast and rolling with a couple of steeper pitches upon approach to the ski station. The scenery is stunning with snow-capped mountains and a ravine on your right hand side. 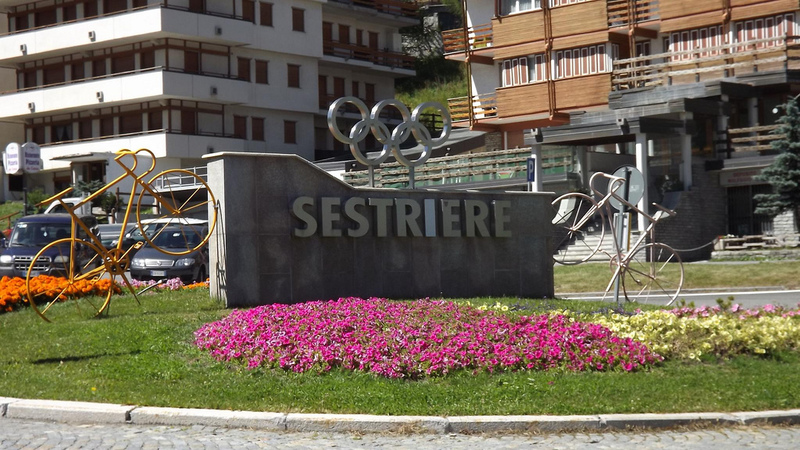 Sestriere was one of the host towns for the 2006 Winter Olympic Games and on the descent towards Pinerolo, you pass the enormous ski jumps which are still in use. The descent is over 50km and very fast. On the descent you have the possibility of following stage 17 of the 2011 Tour de France by climbing the Colle di Pra Martino. Whilst the climb itself is pleasant, the plummet down the other side makes it really worthwhile. This is where Thomas Voeckler bunny-hopped into a driveway. The descent is very steep and the road surface poor. It twists and turns through tiny villages and the poor surface is hidden by the trees. However despite all of this, it is great fun and a worthwhile detour.